Skewer the shrimp onto kabob sticks. Brush generously with the garlic butter mixture. …. And here’s the secret ingredient that causes an explosion in your mouth. Shake this liberally all over shrimp. 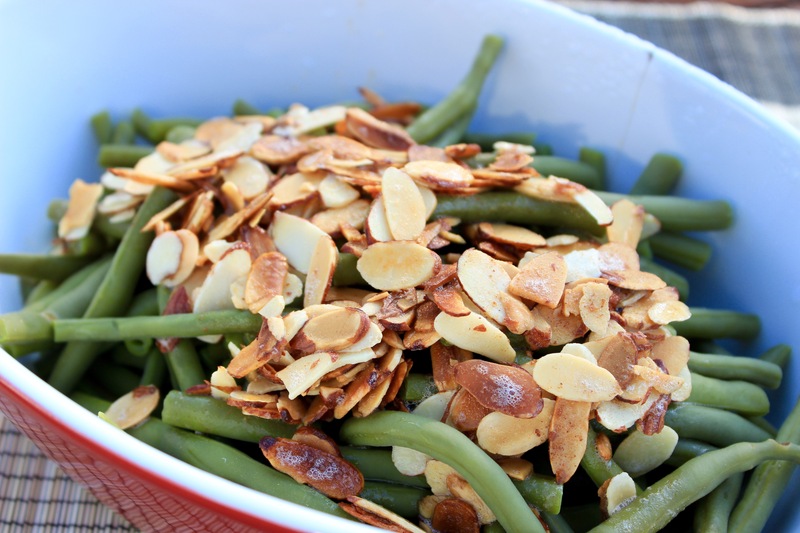 I served a side of green beans fresh from the garden covered with toasted almond slivers and melted butter. So good. Try them sometime when you need something fancy looking but quick and easy. Stan’s favorite food in the world is pasta so we had homemade Alfredo sauce and penne noodles to the side. A delicious combination. 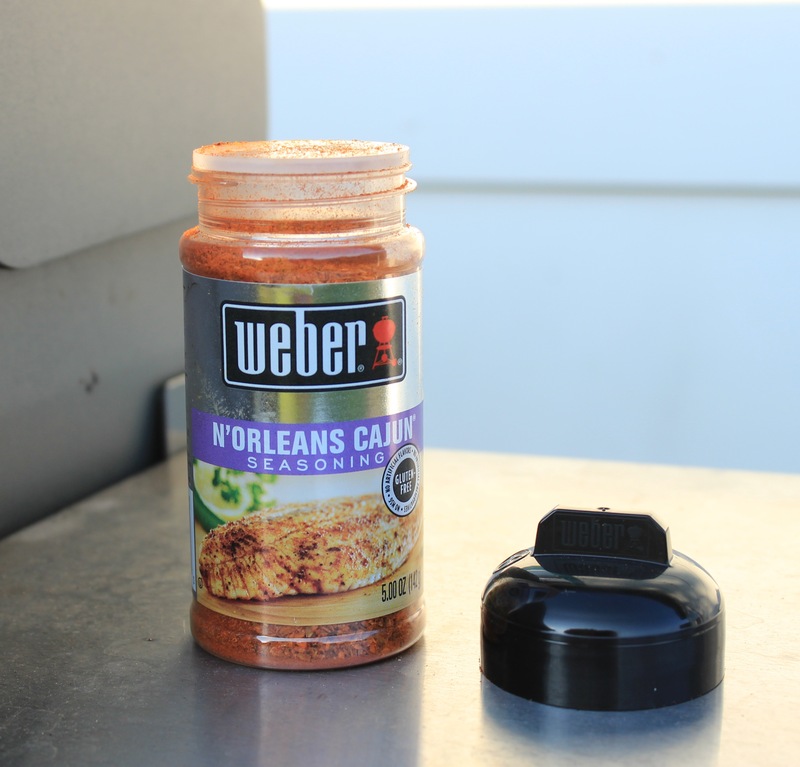 Weber N’Orleans Cajun Seasoning (If you don’t have this, the spices are, Salt, Garlic, Paprika, Onion minced, and Red Pepper. Make your own mixture. 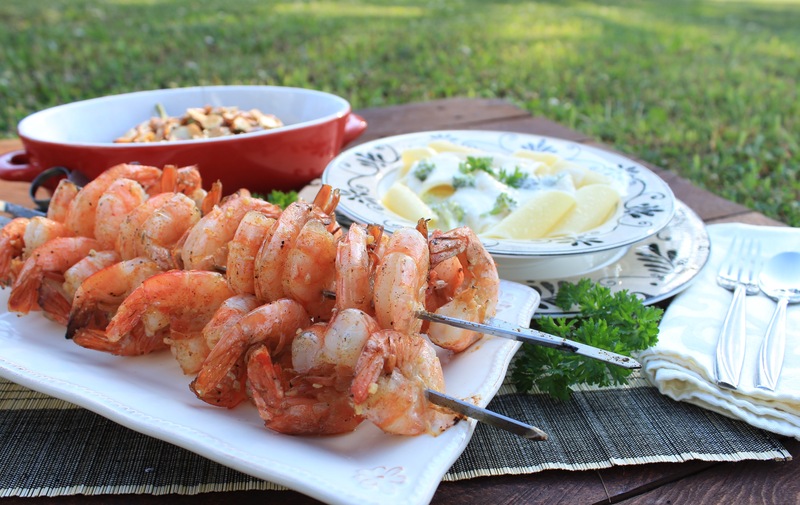 Skewer shrimp onto 3 kabob sticks. In small saucepan, melt butter and garlic, simmer on low for 3 minutes. Add lemon juice. 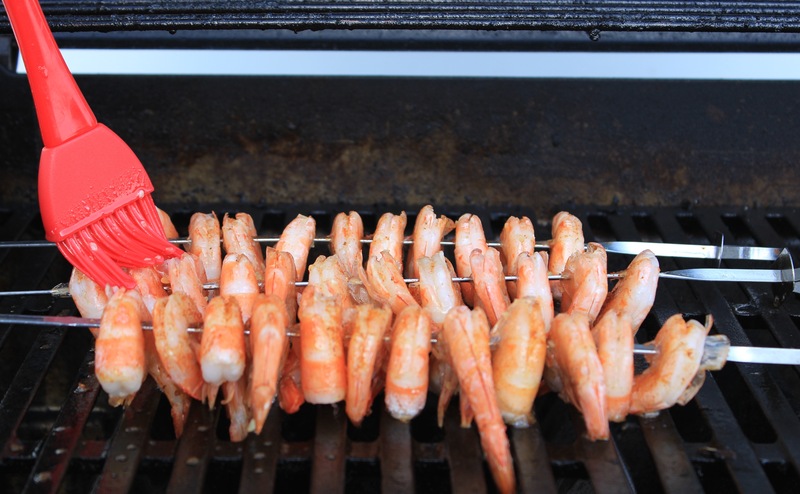 Heat grill and place shrimp on rack. Shake well with seasoning and brush liberally with garlic butter mixture. Keep covered for 5-8 minutes. 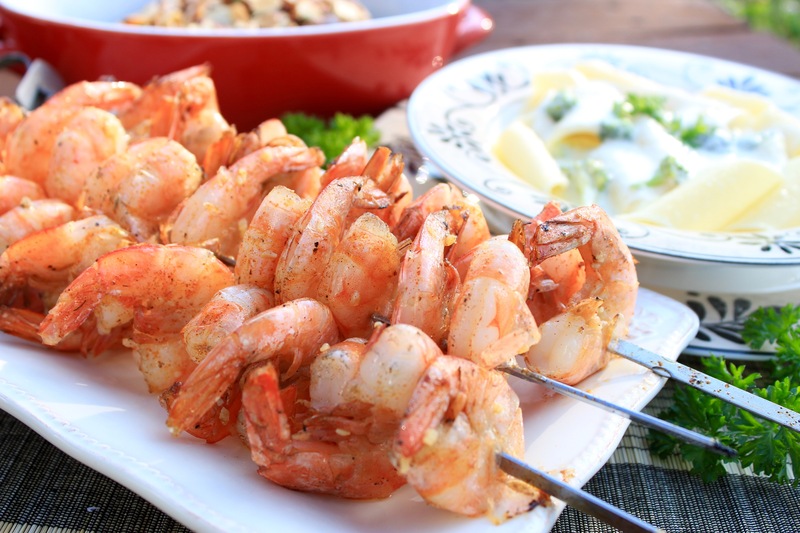 Rotate shrimp to other side and shake with seasoning and brush with butter mixture. Continue until butter is finished. Cover and grill 5-8 minutes longer. Remove from grill rack and enjoy! Way to make my mouth water too late at night to do anything about it! 🙂 This looks fabulous! Your food looks beautiful and delicious too!! I’ll have to try it sometimes … shrimp pasta n green beans are all favorites around here. Thanks for sharing!